At Showtime, I got into a conversation with one of our favorite customers about “cactus” cloth. I hate to admit it, but I was at a loss. I thought to myself, "surely they’re not talking about a cactus motif!" It turns out I have seen what they were talking about in my research, but I had not paid attention to what it was called. This fabric is made in Moroccan villages. 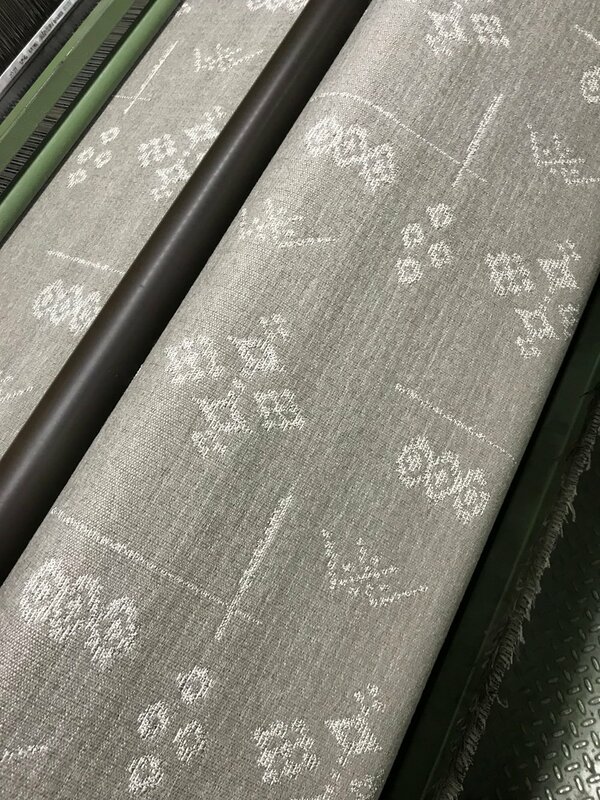 Local villagers harvest the leaves of the Sabra cactus plant for the filaments within, and loom the textural canvas into patterns of ancient motifs. The yarn-dyed palette comes from all-natural botanical pigments, and each pillow cover gets its unique, burnished character from washing and drying under the Moroccan sun. These authentic cactus silks are beautiful. We are looking for inspiration from them to create our own signature cactus motif. Obviously, they will not have the beauty of the original… but they will have the beauty of the inspiration. As I started, you learn something new every day! The start of Brentwood's cactus motif pattern!